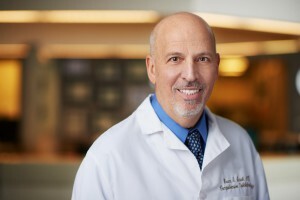 Bruce I. Stark, MD is a board-certified comprehensive ophthalmologist providing care for the full range of eye conditions as well as laser surgery for glaucoma, diabetic retinopathy, and retinal tears. With over 30 years’ experience, Dr. Stark specializes in diabetic eye care and oculoplastic surgery including functional and cosmetic blepharoplasties, chalazion excisions, and lid lesions. He utilizes state-of-the-art equipment to diagnose and treat eye diseases including the use of Intense Pulsed Light for treating moderate to severe dry eye. An active member of the medical community, Dr. Stark serves as Division Chief of Ophthalmology at Chester County Hospital as well as instructs residents at Wills Eye. In addition to providing comprehensive ophthalmic care, Dr. Stark serves as Medical Director for the Center for Rejuvenations, the medspa division of Chester County Eye Care. Dedicated to fighting fine lines and wrinkles, blemishes, and sun damaged skin, he performs non- to minimally invasive aesthetic treatments including BOTOX® Cosmetic, Juvéderm®, Voluma®, Intense Pulsed Light (IPL), GentleWaves, and Active FX.